(CelebrityAccess News Service) – Promoter Jack Utsick may have a new Florida venue to promote in. 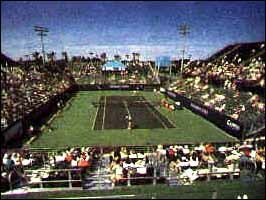 Utsick and the Delray Beach, FL city commissioners have agreed on a proposed three-year contract for concerts at the city's tennis stadium, in hopes that it will lead to selling its naming rights. Under the terms of the contract, Utsick is required to book five concerts with at least 15,000 tickets sold, reports the Palm Beach Post. For the first year he does not have to pay a rental fee, but will pay $1per ticket in the second year and $1.50 the third year.